Sayaka is one of the best cause of his attitude, is one of the type of woman that i would like to be by my side. 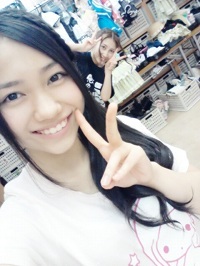 I like Rena of SKE48 too. Last edited by elale20 on 01 Jul 2013, 17:02, edited 1 time in total. For me it I'm honestly torn apart between TakaMina and Oshima, Love them both! with akb i prefer the first 3 generation members. but my oshimen would have to be mayuyu. but i really like matsui jurina from SKE48. Oshima Yuko followed by Paruru with no one close after that.